Good. Paperback This item shows wear from consistent use but remains in good readable condition. It may have marks on or in it, and may show other signs of previous use or shelf wear. May have minor creases or signs of wear on dust jacket. Packed with care, shipped promptly. Acceptable. Paperback The item is fairly worn but still readable. Signs of wear include aesthetic issues such as scratches, worn covers, damaged binding. The item may have identifying markings on it or show other signs of previous use. May have page creases, creased spine, bent cover or markings inside. Packed with care, shipped promptly. Fairly worn, but readable and intact. If applicable: Dust jacket, disc or access code may not be included. New. 2018. Reprint. Paperback......We ship daily from our Bookshop. Fine. 0062797158 LIKE NEW/UNREAD! ! ! Text is Clean and Unmarked! Has a small black line on the bottom/exterior edge of pages. Tracking is not available for orders shipped outside of the United States. Very Good. 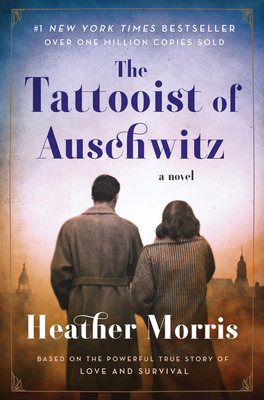 The Tattooist of Auschwitz by Morris, Heather, 2018-02-01. 288 p.